"I didn't think radio advertising would work. I was not a believer," says David Perritt, Regional Operations Manager of Lakewood National Golf Club in Lakewood Ranch, Florida. Mr. Perritt's opinion changed after he experimented with advertising on Tampa radio stations when the club first opened in January 2017. "I have been extremely pleased with the results," he says. "The data shows just how successful radio has been working for us." According to Nielsen, there are 400,000 golfers living in the Tampa Bay area (not including tourists). It is Mr. Perritt's job to compel as many of those enthusiasts as possible to become, as he calls it, "a member for a day,"
"Our ultimate goal is to have area golfers come and fall in love with the experience of playing our Arnold Palmer designed courses and our superior service. So much so, they would want to buy one of the homes in the community." 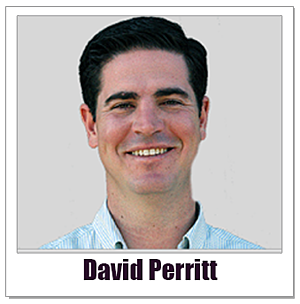 Mr. Perritt's company operates golf courses for several private communities throughout Florida. Lakewood National, however, was the first to utilize radio advertising. "The marketing model for our other communities was based on a 'build-it-and-they-will-come' strategy as well as word-of-mouth," says Mr. Perritt. "But the challenge with that approach is that once a golfer plays a course three or four times, the newness wears off." "Advertising on Tampa Bay radio not only attracts first-time golfers, but it also allows us to reinforce the positive experience among previous visitors. The more times someone plays our courses, the more likely it is they will consider buying one of our homes." 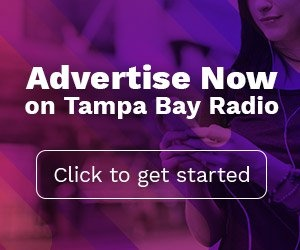 Advertising on Tampa radio stations is an excellent choice for this purpose. Last week, for instance, close to 90% of all area golfers tuned-in to a local station. 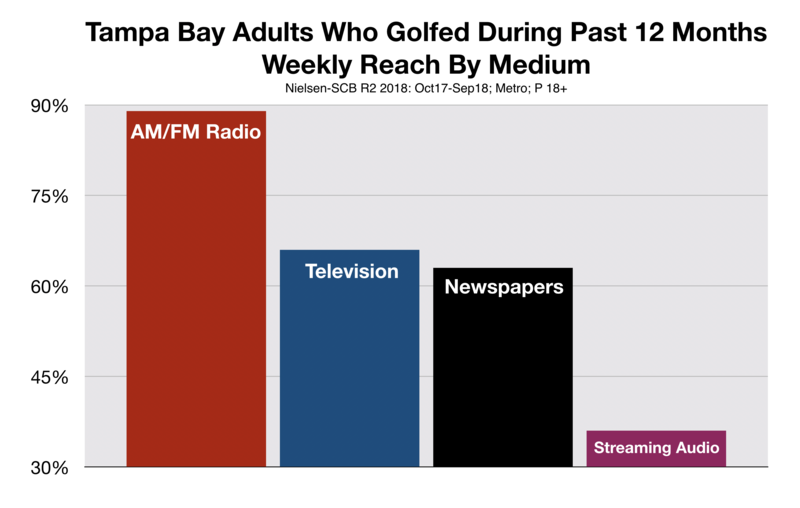 This is significantly more golfers than were reached by Tampa TV stations, local newspapers, or streaming audio sites like Pandora and Spotify. "When we started advertising on Tampa radio stations, we saw immediate results," says Mr. Perritt. "Golfers were telling us they learned about Lakewood National from our commercials." "Not only were they golfers, they were also the golfers we wanted. Those who could afford to buy one of the homes in the community which range from around $200,000-$800,000." "But, what really blew me away," he says, "was how our radio advertising was driving traffic to our website." Mr. Perritt derives this data from Analytic Owl, an attribution technology which monitors website visits within 8 minutes of a radio commercial airing. "We notice a surge of online activity every time one of our commercials air on a Tampa Bay radio station. And when golfers come to our site, they can register to play." The other benefit to advertising on radio is the medium's extensive reach throughout the entire Tampa Bay area. "We are just a few miles from Sarasota-Bradenton, so those golfers are going to find us almost by default. But, our radio advertising will bring players from Tampa and St. Pete which is about 50 miles away." The most critical metric for Mr. Perritt, though, is sales. "The community is selling out as fast as we can build homes," he says. We have already sold 500. We are ahead of our goals and projections. The only thing we are doing differently than we do our other communities is radio advertising. We couldn't be happier."